Thinkspace is pleased to present new works by Japanese artist Ozabu in Wander. Her drawings are staggeringly detailed, stylized and yet lifelike, rendered with incredibly subtle line work. Created with minimal media in pencil and graphite on paper, her ghostly hauntings of paper flesh range from the comely to the macabre. 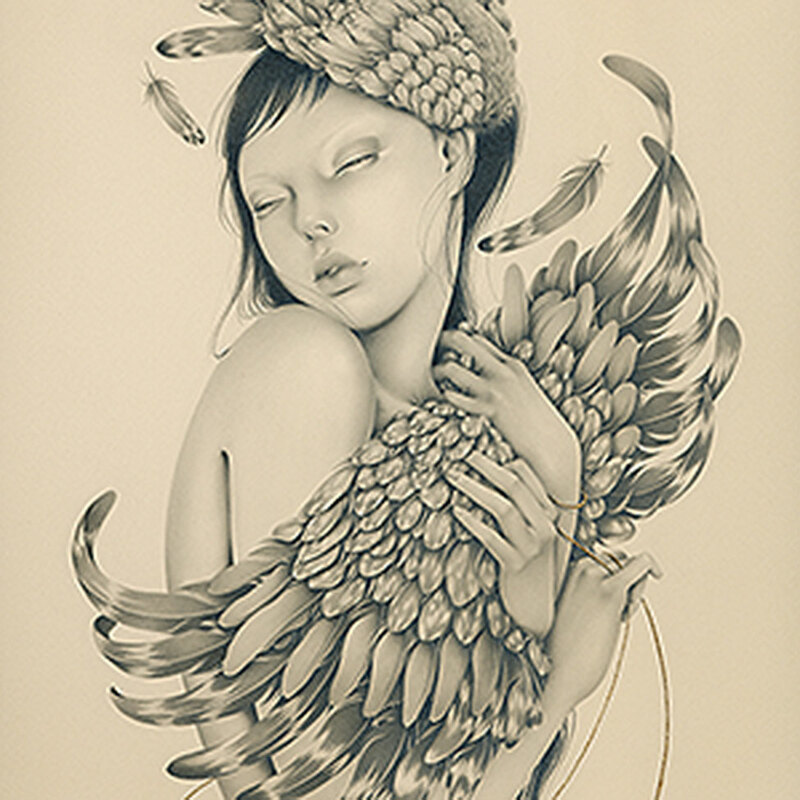 Aesthetically inspired by the visual cultures and mythologies of Japan, Ozabu’s emotive figurative drawings often incorporate animal symbolism and references to the natural world. Preferring to allow the work to speak for itself, Ozabu often avoids comment on her imagery, hoping the viewer will shape personal readings themselves. Sensual, dark, and at times ominous, the open-ended works reveal moments of a larger narrative and plot beyond the frame. Characters appear with symbolic aegis under the cover of wings, bird’s heads, insects, and lush flora, like woeful apparitions or powerful augurs. Ozabu’s world is a mysteriously beautiful shadow land.